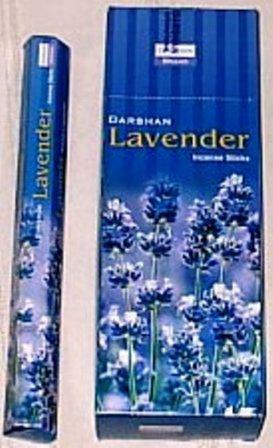 The sweet smell of lavender from the Darshan Incense Company. It is invigorating, clearing and a strong atmosphere cleanser. In herbal lore it is believed that lavender can avert the "˜evil eye' as evil spirits retreat at the smell of the plant. It is also believed that making a wish and placing lavender under your pillow can help the wish come true. 20 sticks hand rolled in Bangalore, India by Darshan.